Please visit our friends' websites and check out their offerings. The below organizations or people support and acknowledge psychic development in alignment with the mission and purpose of Spirit is Calling. It is our hope that you will support these organizations and get to know them as we are getting to know them as FRIENDS! At the San Jose Psychic Institute we teach meditation tools and visualization techniques to help you clear your mind, heal yourself, and break through obstacles so you can create what you want in your life. Our Mission is to create a safe place to be psychic. 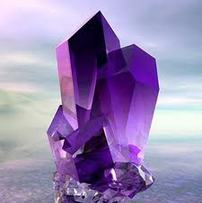 Located at 4967 Newport Ave. in San Diego California, The Philosopher's Stone offers a premier selection of crystals and minerals for metaphysical use. The shop also offers metaphysical books, tarot decks and much more. Say hello to the proprietor, Wendy Adelstein. Give them a call for their hours and for any questions: 619-224-0700. Sessions include hypnosis, intuitive reading/healing and next steps counseling. Della Temple writes about melding the worlds of the physical and the metaphysical in her new book, Tame Your Inner Critic Find Peace & Contentment to Live Your Life on Purpose. Explore the energy of your thoughts and turn the negative into positive. Discover how to use your innate intuitive abilities to heal these energies and discard judgments and criticisms that have built up over the years. With specialized exercises and meditations, this book shows you how to banish negativity, improve your relationships, and realize new ways to share your gifts with the world around you. Available in a bookstore near you or on Della’s website, dellatemple.com.